If you are looking for perfect steel cut oats in the Instant Pot, this recipe is for you! I will show you how to cook steel cut oats perfectly in the instant pot along with providing ideas for toppings, and flavor combinations as well. Instant Pot Steel Cut Oats will become a staple recipe at your house! Steel Cut Oatmeal is a delicious hearty breakfast that had a reputation of being a recipe reserved for weekends. Steel Cut Oats just took too long to make on a busy weekday! However, with an electric pressure cooker Steel Cut Oats are a perfect quick cooking breakfast! Instant Pot Steel Cut Oats are even possible on the busiest of mornings! While waking up to a slow cooker full of steel cut oats is dreamy, and grabbing a jar of overnight oatmeal from the refrigerator is a great start to a hot summer morning, I am in love with Instant Pot Steel Cut Oatmeal for a few reasons. Instant Pot Steel Cut Oats only take 30 minutes of hands off time to make from start to finish. Steel Cut Oatmeal is full of texture, fiber, and nutrients. Instant Pot Steel Cut Oats can be flavored anyway you like. Steel Cut Oatmeal is a great recipe to meal prep for the week ahead! Now I know that 30 minutes may seem like a long time for busy mornings, but hear me out. Because cooking the Instant Pot is hands-off, you can wake up, start these steel cut oats in your electric pressure cooker and by the time you blow dry your hair, or drag your kids out of bed, breakfast is ready for you. Better yet, you can set everything up for steel cut oats in the pressure cooker, set the timer button to delay cook time, and wake up to piping hot steel cut oats ready to be served. Making steel cut oats in the Instant Pot is incredibly simple, and as I mentions hands-off!! There are two methods for making steel cut oats in a pressure cooker. Place your trivet in your inner pot of your pressure cooker. In a heat safe bowl (I use a 7 cup pyrex glass dish), mix your oats and liquid together with a bit of flax seed. The flax seed is optional but adds omega fatty acids and fiber. I choose to use part water and part dairy of any kind (coconut milk, cows milk, almond milk, etc). You can use all water or all dairy. In my experience all water is incredibly bland and using all dairy/non-dairy as your liquid doesn’t result in oats breaking down into a creamy texture. Set your pressure cooker to cook on high pressure for 6 minutes. I have found it takes anywhere from 5-10 minutes to come to pressure. Allow the instant pot to release pressure naturally (about 15-20 minutes). I would not recommend doing a quick release when cooking Steel Cut Oats in your pressure cooker, because this may cause your oatmeal to spill out of your pot in pot or liquid to clog your instant pot valve. Plus, one trick to making the BEST Steel Cut Oatmeal is allowing the oats to absorb the liquid and become tender. Serve warm with any desired toppings. Do you have to cook steel cut oatmeal using the pot in pot method? No, as long as you do NOT use dairy products, as the dairy may very well cause your pressure cooker to give you a burn notice. Cook on High Pressure for 6 minutes and allow pressure to release naturally. One of the main reasons I love to make a big batch of plain Instant Pot Steel Cut Oatmeal is so that each person can flavor their oatmeal exactly as they desire. Here are a few of my favorite Instant Pot Steel Cut Oatmeal serving ideas. Each recipe is for one serving of oatmeal. Raisin Nut: top steel cut oatmeal with a dash of cinnamon and 1-2 tablespoons each of raisins and chopped walnuts. Apple Pie: top steel cut oats with chopped fresh apple, cinnamon, and honey or maple syrup. Pina Colada: top steel cut oats with pineapple chunks, toasted coconut and sliced bananas. Serve with a splash of coconut milk. 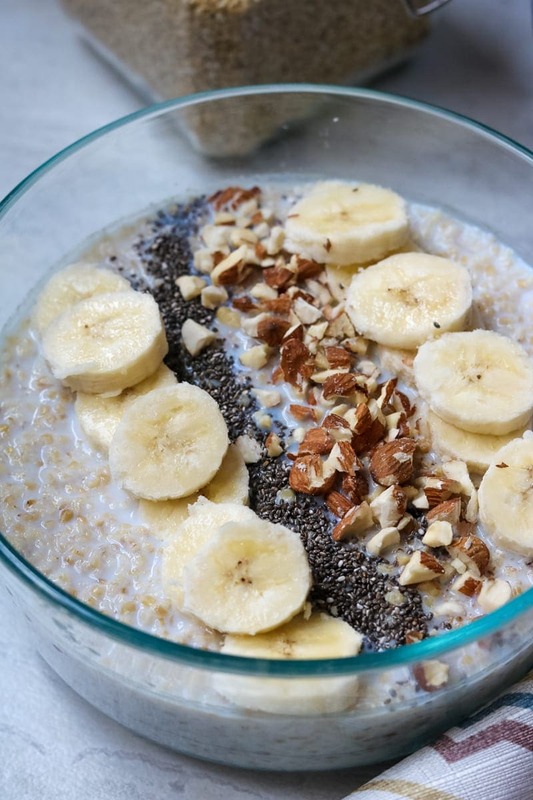 Banana Chia Almond (pictured): top steel cut oats with sliced banana, 2 teaspoons chia seeds, and chopped almonds. In order to make gluten-free steel cut oatmeal be sure to use certified gluten-free steel cut oats. In order to make these Instant Pot Steel Cut Oats vegan use non-dairy milk or water. Leftover steel cut oats can be stored in the fridge for up to a week. Cooked steel cut oats can also be frozen in individual containers for up to 3 months, and reheated as needed. How to cook steel cut oats in your pressure cooker for creamy, perfectly cooked oatmeal. 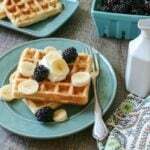 Vegan, gluten-free, and full of protein and fiber for a healthy breakfast. Inside a 7 cup heat safe bowl, mix together the oats, 1 cups water, 2 cups dairy of choice, and flax seed. Set Valve to "sealed" and set manual or time to 6 minutes on high pressure. Use gluten-free steel cut oats for gluten free oatmeal. Coconut milk, almond milk, or soy milk for vegan steel cut oatmeal. This recipe can easily be doubled as long as it fits inside your heat safe bowl. Steel cut oats are my favorite type of oats too, but I don’t make them often because they do take a little planning, but not when using an Instant Pot! This is a game changer and I love all the variations you suggest, especially the savory cheese and sausage! On the menu for this weekend! Yes, the Instant Pot makes steel cut oats a PERFECT option for busy mornings. I hope you enjoy the cheese and sausage variety! I am all about that Almond Joy version. What a great (and convenient) breakfast! That is my son’s absolute favorite as well Alyssa. I am so glad you enjoy it too! Thank you for posting this recipe. I do not have flax seed so I used quinoa with the steel cut oats. I actually cooked an extra 2 minutes as the texture still wasn’t quite there. After 5 minutes of NR I opened the luscious abscess it was perfect! To my individual serving I added mashed banana and chopped walnuts with a little honey. Yummy! 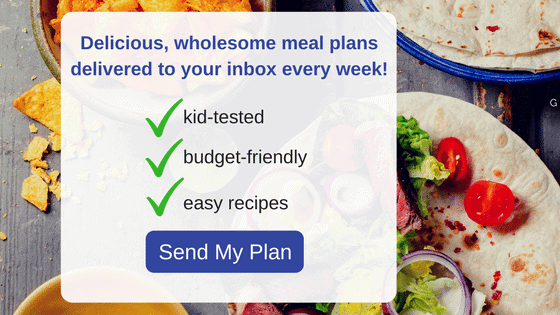 I am sure the added quinoa increased the cooking time, as it would have absorbed some of the liquid, where as the flax seed will not–but quinoa is a delicious add in. Love in! I made this following your method and will do it this way from now on! Since I do not have flaxseed I subbed it with quinoa. I used almond milk instead of dairy and cooked it an additional 2 minutes. The add-ins to my individual serving was mashed banana and chopped walnuts stirred in with a little bit of honey as the banana was already sweet. Yummy! My daughter-in-law uses cacao powder, unsweetened coconut flakes.and almond butter. So many ways to flavor this basic oatmeal. Thanks again! Gale, I am so glad you enjoyed this recipe for Oatmeal. And both your version and your daughter in-law’s sound delicious. My personal favorite is sliced banana and and peanut butter. please disregard my previous post/message,,, i re-read the article and found my error,, enjoy your thanksgiving holiday!!! No worries at all Fred!! Have a blessed Thanksgiving! I’m a newbie with the instant pot and so far am loving it. I’m dying to make these oats, but don’t have a 7 cup heat safe bowl. I’d like to make a half recipe, and would like to know if I’d need to adjust the cooking time? Hi Becky! To half this recipe, cook time remains the same! Enjoy! I’ve been looking for a way to make my single serving steel cut and think that bowl in a pot should work. Yours was the first blog I read to affirm that. I use 1/4 cup oats with 3/4 cup water. It’s a little soupy and I will short the water next time. But it works. Now I need to learn to use the timer … or get on the treadmill while my oats cook. I have tried the steel cut oats with all fairlife milk and only about 1/2 cup of water several times and it always burns. I was searching how to use all dairy without burning and found you! Thank you! 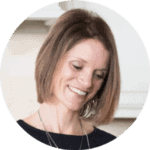 I am scared to put a pyrex bowl on my Instant pot….I am terrified of it exploding as my mother in law had a pyrex casserole dish explode in her oven once! Does Instant pot not sell a bowl to be able to do this in? Thank you! Hi Amanda! So glad you found my recipe! I have never had issues with glass bowls-but certainly understand your hesitation. These stainless steel bowls have sizes that fit in your instant pot–so they may be great for you. https://amzn.to/2UJnviu Let me know if you try them! I used to make steel cut oats in crockpot overnight. Tried it in instant pot using 1 cup oats with 2 cups soy milk and 2 cups water. Noticed that via instant pot, it is not nearly as creamy and the steel cut are chewy and harder. I think I prefer crockpot. Did I do something wrong? Hi Joanne, the recipe is for 2 cups of oats to 3 cups liquid–so that would explain why this did not turn out for you. I am sorry your wasted time and ingredients, but I bet if you tried the recipe as stated mad with 1 cup oats, 1 cup soy milk and 1/2 cup water, you would have much better results. Hope that helps. My primary question: you mention using the delay function. Am I right to assume we need to only use water as our liquid if we do that? I’m worried my milk won’t be safe if I set up the IP with an 8hour delay. Any advice? First of all, I hope you enjoy your oatmeal! Secondly, yes, my directions say ONLY USE WATER if using delay function or your milk will spoil. As for the typo, I think I am correct in the advice I gave. My ratio for cooking pot in pot is 2 cups oats to 3 cups liquid. 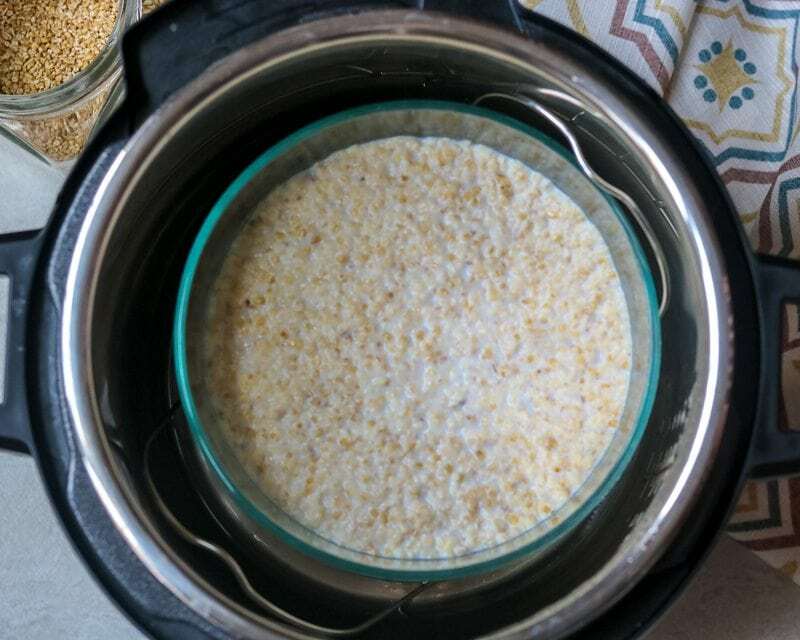 (Which when cut in half is 1 cup oats to 1.5 cups liquid) If you were to use 1 to 3 ratio, you may be left with excess liquid, as there is no evaporation of liquid in the Instant Pot. It will still be delicious, just a bit more soupy. I’m new to Instant Pot cooking. I tried the steel cut oats in the recipe booklet with a 2:3 ratio of oats to liquid. I didn’t think that was enough liquid. Your 1:2 (2:4) is perfect. I use water, so I put everything right in the ceramic pot. I make a double batch and after cooled a bit, spoon the oats into 12-count muffin pans. (Using the instant pot, I do not fill up both pans like I used to when using the stove method.) I put wax paper over the tops and put in the freezer. Once frozen (about 5 hours or overnight), I put them into gallon zipper freezer bags and keep them in the freezer. I take out 2 each morning, put them in the microwave for 2 1/2 minutes, add my almond milk, fruit, and eat! Aha! I am excited to try this out! I’m going to get it set up minus the liquids tonight and add the milk/water in the morning. I tried making some from a different recipe last week and kept getting the burn notice in my 8 qt instant pot. This pot-in-pot should fix that issue. Yes, this will fix that burn notice for sure!! Enjoy!! Thank you for the recipe. Can you recommend an online site to order fresh steel cut oats? Hi Jennifer, I am not aware of any great company that ships FRESHLY cut steel cut oats. I purchase mine at a co-op where I buy my wheat grain too, but they don’t ship. I do know that amazon has some great oats and I really like this brand: https://amzn.to/2WSshez. This brand is non-gmo and organic. Newbie question: should I put a lid on the inner pot to prevent condensation getting in? I’ve never been quite sure with “inner pot” recipes! Hi Jacob! I never worry about condensation for oats, but for something like a cheesecake or creme brulee or lasagna, I would cover with foil. Hope that helps. WAHOO!!! We just enjoyed this this morning! What kind of pot did you use inside the pot..was it stainless steel? I actually used a glass oven safe dish. Since I have to make individual servings, I wonder if I could use mason jars. I was thinking of following the recipe as is, then, evenly pour in mason jars, and place them in the instant pot to cook. Do you think that would work? Hi Brandi! Yes, it would work perfectly. I do recommend placing your Mason jars on the trivet though to protect them for direct heat.